Edgar Wright‘s Baby Driver can be best described as a musically charged gangster film full of colorful zany characters all looking to make a big score. If Wright could write music – and he probably could – they would look, sound, and feel like this movie. While recent car chasing heist flicks have been focusing on the big action set-piece spectacle that may look spectacular but lacks spirit and heart, Baby Driver proves that you don’t need to jump out of planes (be it exploding or not) to be hip and cool. You just need a driver, the girl of your dreams, music, and the road to travel to some unknown destination. We’ve known for a long time, a very long time, that music plays a big part in Edgar Wright‘s Baby Driver. Ansel Elgort plays Baby, a getaway driver who suffers a constant ringing in his ears, and uses the music from the cars he steals to drown it out. But it is how Wright incorporates the music into every scene that has made it one of the best-reviewed films of the year. 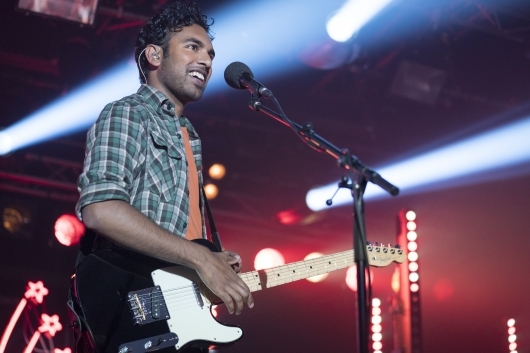 Earlier last week, the tracklist for the soundtrack revealed an eclectic mix of genres and eras, but we’ve only heard a few songs in trailers and TV spots. Now a new featurette shows just how music works in Baby Driver. Check out the featurette, below. 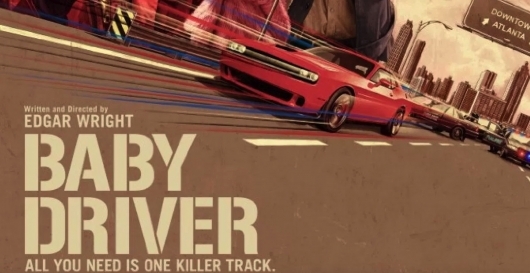 Golden Earring‘s “Radar Love”; The Button Down Brass‘ “Tequila”; Martha and the Vandellas‘ “Nowhere To Run”; and Incredible Bongo Band‘s “Bongolia”: these are just a few of the songs that can be heard in the trailers for Edgar Wright‘s Baby Driver. Since the film made its festival debut earlier this year at SXSW, critics have been feeding the hype machine, going as far as saying it is one of the best movies of the year. Judging by the looks of the trailers and featurettes, it’s easy to see why. The action in Baby Driver practically syncs up to the music. And I say practically because I haven’t seen it yet. But if you are a fan of amazing soundtracks, then the newly released tracklist for the film’s soundtrack should have your attention. Check out which songs made the cut, below. The summer blockbuster season is normally full of superheroes and sequels. So it’s easy for original films to get lost in the shuffle. But once in a while, there is a film that gets everyone’s attention. That film is Edgar Wright‘s Baby Driver. A rollicking getaway caper centering on a young and talented getaway driver who literally drives to the beat of his own music in order to drown out the constant ringing in his ears. We’ve already seen a handful of trailers and featurette that give us an idea of how the music drives the film. Now two variations of a newly released poster reminds us how much fun this film could be. Check them out below. After receiving unanimous praise at SXSW earlier this year, Edgar Wright‘s new film Baby Driver has been bumped up to an earlier date. That is something we can all look forward to. 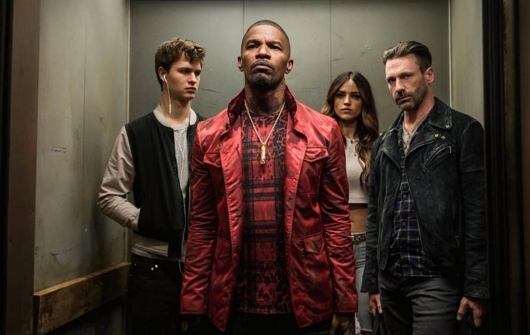 In his fifth directorial effort, the film centers on Baby (Ansel Elgort), a young getaway driver who suffers from constant ringing in his ears. In order to drown it out, Baby plays music he gets from the cars he steals for his getaways. It’s what makes him the best in the business. But after discovering a new lease on life, Baby wants to get out after one last score. That is something his crime boss (Kevin Spacey) will not tolerate. Now a newly released featurette takes a look at Baby and his relationship with his father-like figure psychopath crime boss, the crew he works with, and the love interest (Lily James). Check it out below. Baby Driver, the latest film from writer/director Edgar Wright ((Shaun of the Dead, Scott Pilgrim vs. The World, The World’s End), had its world premiere on Saturday night in Austin, TX, at this year’s SXSW. 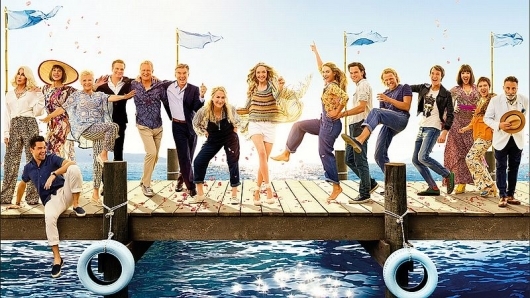 Now, Sony has released the domestic and international trailers for the upcoming film, which you can watch here below. There are so many reasons why you should be excited for Edgar Wright‘s (Shaun of the Dead, Hot Fuzz) Baby Driver. 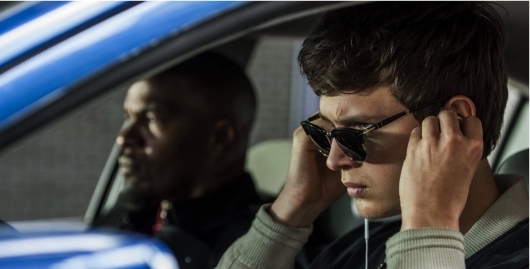 The movie centers on a partially deaf getaway driver (Ansel Elgort) who uses music to drown out the ringing in his ears. In the past Wright has used music in such a way where the music beats are perfectly choreographed to each action sequence. So imagine that, but with a car chase sequence. With the film hitting theaters later this year, we are now getting a very early look at the film in new images that tease more than just a car chase, but also some of the characters, like the very fashionable Jamie Foxx‘s Bats, who is wearing a very killer jacket, and an almost unrecognizable Jon Hamm. Check it out below.